The Dish Drainer Geo is designed by Jorre van Ast, specifically designed for draining a small amount of dishes. 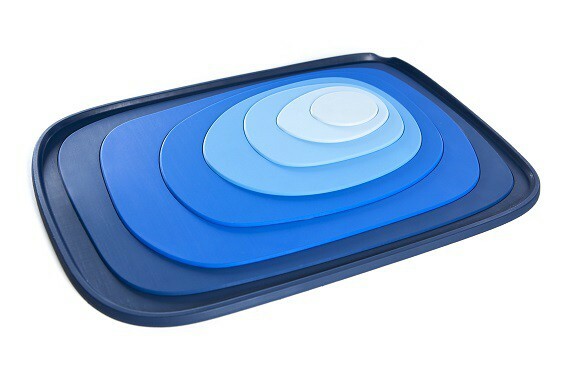 A magnificently designed plastic mat that lets the water drain through subtle height difference in the blue 'geo' design. 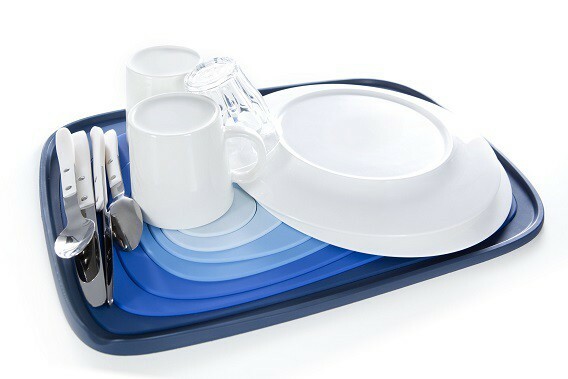 Is your dish washer almost full or do you have dishes which break easy and which you rather wash by hand? 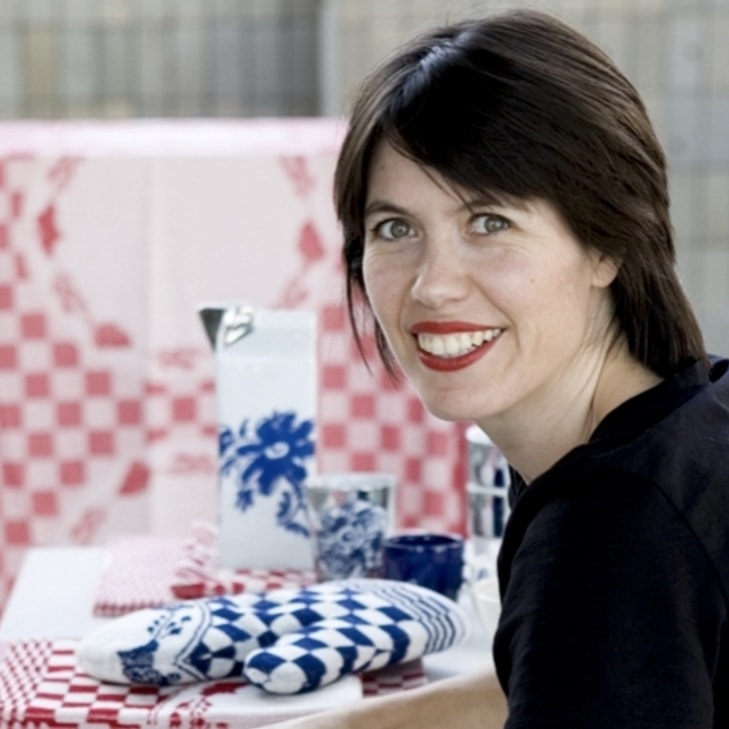 The Dish Drainer Geo by Jorre van Ast is specially designed for drying a small amount of dishes. 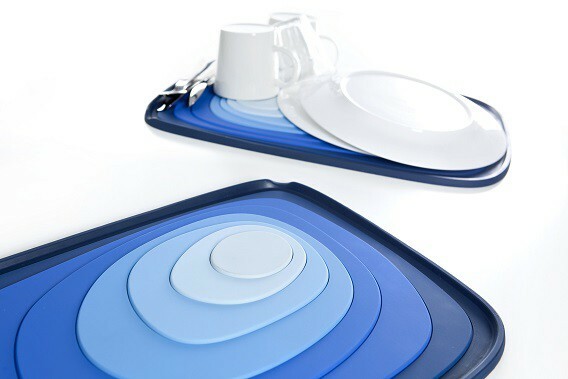 The Dish Drainer Geo is a beautifully designed mat, which lets the water drain through small height differences in the 'geo' design. 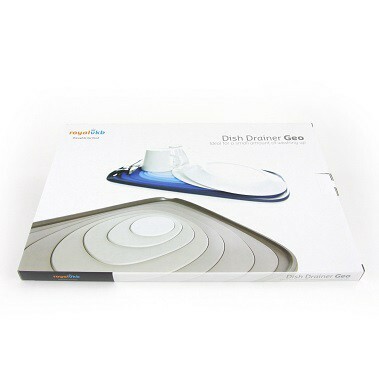 Thanks to the Dish Drainer Geo, it is no longer necessary to use a large and bulky dish drainer, that is hard to store. The Dish Drainer Geo is flat and takes up almost no room. Therefore, storing is easy, if you want to store it away of course. The design of the Dish Drainer Geo is based on geographical contour lines, together with the ocean blue colors, it contributes to a cosy and trendy designed kitchen. 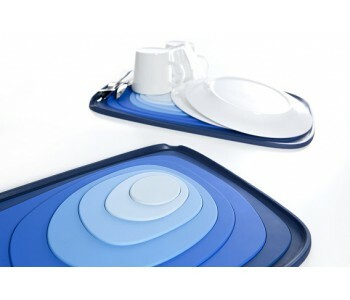 The Dish Drainer is made of soft plastic and is 30,5 cm in width, 43 cm in length, and 1,4 cm in height. Therefore, it fits easily in a kitchen cabinet. But why store it? You could leave it on the counter as a piece of decoration and due to it's size, it doesn't stand in the way.